Singapore Math is renowned worldwide. But to stay at the top, it needs constant energy and challenge – so Singa has been born: a unique new Math competition with ambitious and important goals set to run in Kuala Lumpur, capital of Malaysia, from November 16 to 20, 2018. 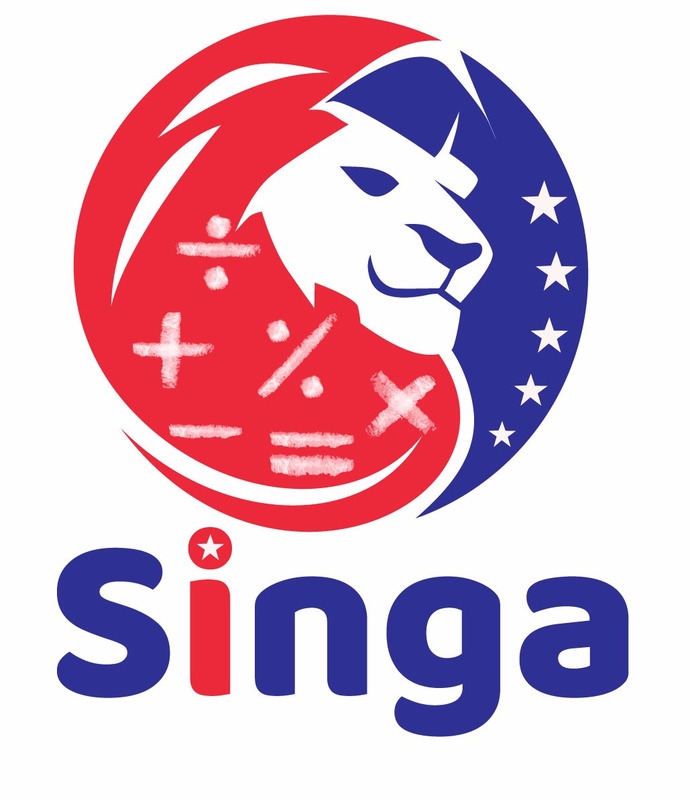 Named after the lion in the name of Singapore itself, Singa will also be brave, tough and noble: a thrilling team challenge that equips children everywhere for 21st Century learning and help keep Singapore Math up where it belongs. We need to remember where we’ve come from. Not so long ago, Singapore’s Math was the worst in the world. In 1980, Singapore’s students were propping up the world education rankings. But how things change! Thanks to in-depth research and focused innovation, the ‘Singapore method’ was developed – and its impact was breath-taking. With a strong focus on modelling mathematical problems to promote deep understanding, alongside a move away from rote-learning and an increase in high-quality teacher training, the new approach had a remarkable effect. Within ten years Singapore’s Math was the best in the world. But no-one can stand still, and competition from elsewhere is fierce. So here comes Singa: a brand- new initiative designed to help Singapore remain a world leader in Math, and to ensure that we keep sharing the lessons we learnt in some of our toughest times. Created and run by a world-leading Math team, Singa is itself a unique celebration of team learning, allowing participants to build their Math skills through teamwork. In keeping with the spirit of Singapore Math to create deep understanding, the challenges involved will provide opportunities for rich exploration of Math – made all the more powerful through discussion and debate. And through it all, the students will be encouraged to gain the flexible thinking skills, intellectual confidence and passion for learning that will help them throughout their education – and beyond. In the Dash Round, a unique set-up allows teams of children to collaborate in investigating, checking and improving the solutions to a series of Math problems. For the ABC Round, the children have to allocate problem-solving duties strategically amongst their team, matching people’s different strengths to the varied Math questions they face. Finally, Singateers is the round in which the contestants face Math problems on their own – but even here team-members scores are averaged, allowing the best teams to rise to the top and prevail as champions. Individual top-scorers at Singa are also recognised, with Bronze, Silver and Gold Awards for the best single performances overall. But the focus in this initiative is very strongly on teamwork, and the Gold-winning groups will have to show high levels of collaboration, stamina and mutual support – as well as superlative Math skills. The team behind Singa is an impressive one – most of them graduates and teachers from the world- famous Singapore National Institute of Education (NIE). Prof Yeap Ban Har gained his PhD in Mathematics Education at NIE and taught there for more than a decade. He has been Singapore’s internationally-renowned Mathematics Ambassador since 2010, spreading Singapore Math to teachers around the world. Prof Joseph Yeo Boon Wooi graduated from NIE with first class honors in Mathematics Education, and also earned his Master’s and PhD there. Chairman of the Board of Advisors for the Singapore and Asian Schools Math Olympiad (SASMO), he famously created ‘Cheryl’s birthday question’ which went viral worldwide in 2015. Miss Foo Pau Choo is Dean of the Singapore Scholastic Trust Teachers’ Institute (SSTTI), having previously taught for over 20 years in Singapore schools and then been a Head of Department, Vice Principal and Principal. An adjunct Supervisor of Pedagogy at NIE, she is passionate about training teachers and raising educational standards. Henry Ong, President of the Singapore Scholastic Trust (SST), has a rich background in business and education. Founder of the Singapore and Asian Schools Math Olympiad (SASMO) he is Asia’s biggest organiser of academic competitions. Merlan Nagidulin, General Manager of the Singapore International Math Contests Centre (SIMCC), is a talented mathematician who won Gold at the International Zhautyk Olympiad and Kazakhstan Mathematical Olympiad while still in secondary school. Awarded an NTU Scholarship in Singapore to take his BSc in Mathematics, he has since helped SIMCC to expand SASMO to over 18 countries and start new competitions like the Singapore International Math Olympiad Challenge (SIMOC) and International Junior Mathematics Olympiad (IJMO). So the Singa team is now ready to challenge teams of students from every country. For the children who take part, the experience promises to be an exciting and transformative one. And Singa also looks set to raise standards in Math – and learning in general – around the world, while making a major contribution to maintaining the long-term success of Singapore Math. hi. am interested to let my g3 join this. how do we participate? is there a form? how do we find a team? Hi, may I know where are you from?